Our preference Long positions above 111.85 with targets at 112.10 & 112.25 in extension. Alternative scenario Below 111.85 look for further downside with 111.65 & 111.50 as targets. 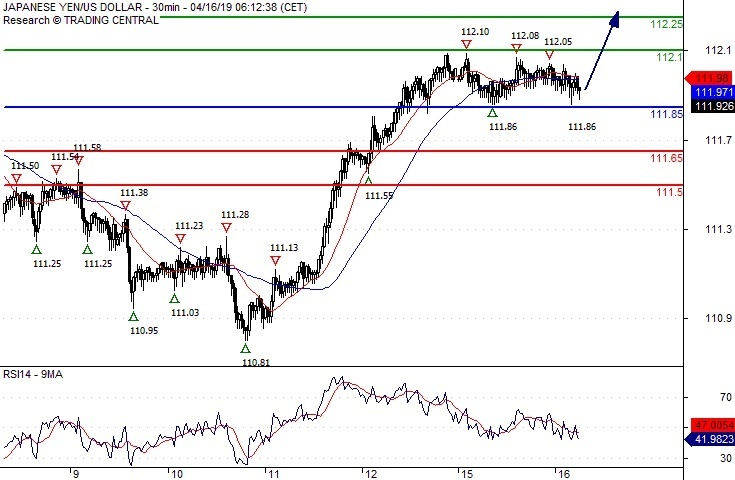 Comment A support base at 111.85 has formed and has allowed for a temporary stabilisation.